Arran and Ramona in the Snow, 2006, acrylic on canvas, 48 x 72 in. Arran and Ramona, 2006, acrylic on canvas, 48 x 72 in. Street Crowd, 2007, acrylic on canvas, 38 x 72 in. 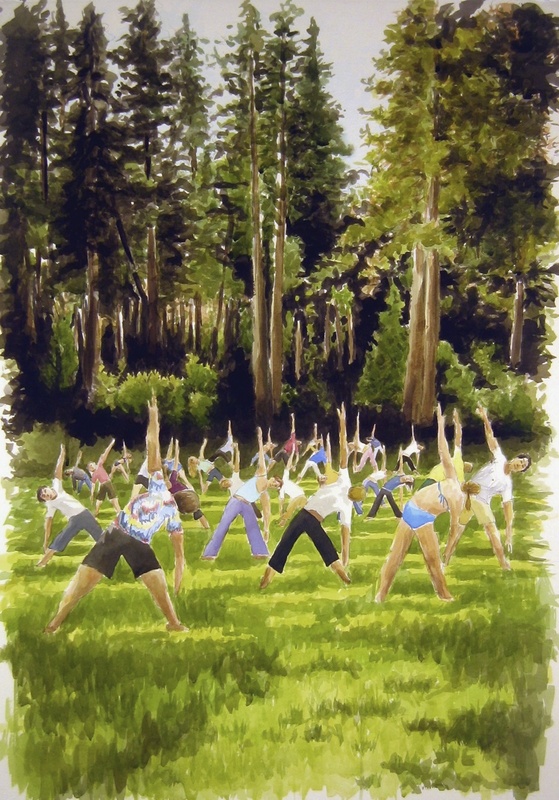 Yoga in the Meadow, 2008, watercolor & acrylic on paper, 40 x 31 in. Walking in the Snow, 2008, watercolor on paper, 41 x 30 in. Wading in the Creek, 2008, watercolor & acrylic on paper, 41 x 30 in. 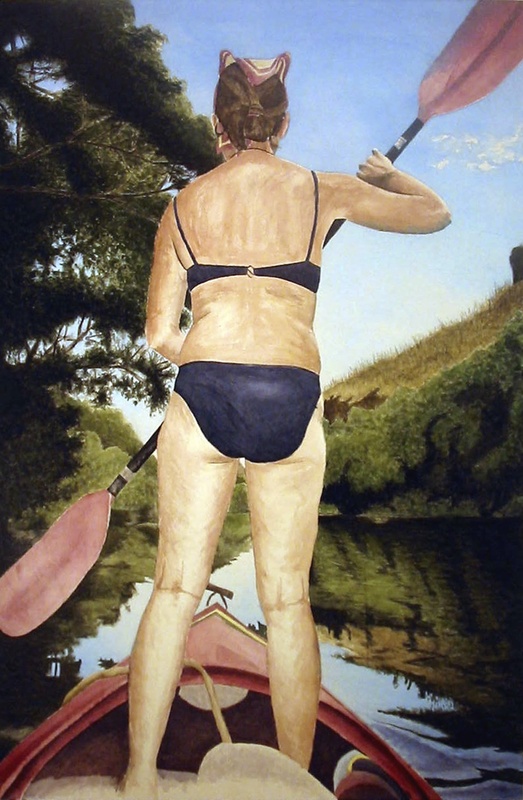 Ramona Paddling, 2007, acrylic on canvas, 72 x 48 in. 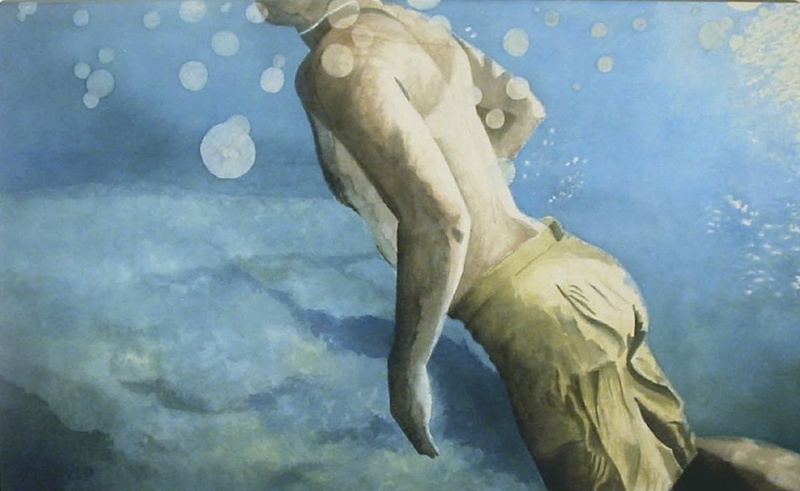 Arran Underwater, 2006, acrylic on canvas, 40 x 66 in. Ramona Snorkeling 3, 2007, watercolor & acrylic on paper, 30 x 41 in. 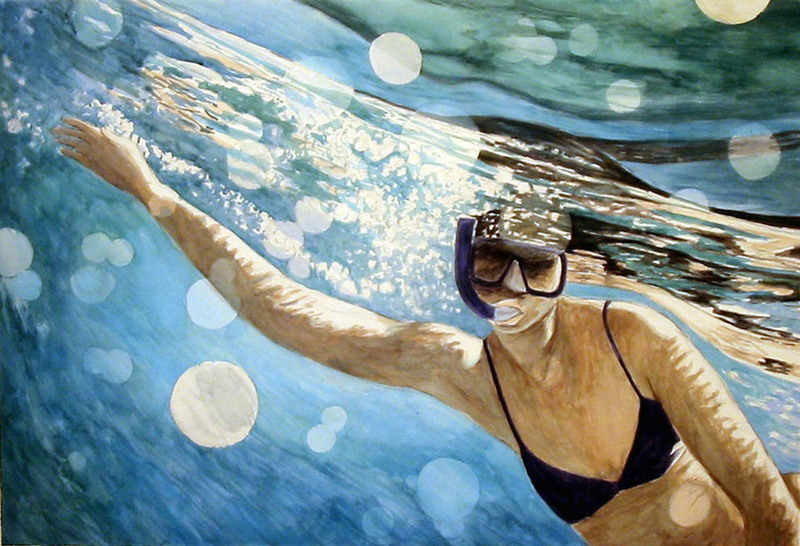 Ramona Snorkeling 2, 2007, watercolor & acrylic on paper 30 x 51 in. 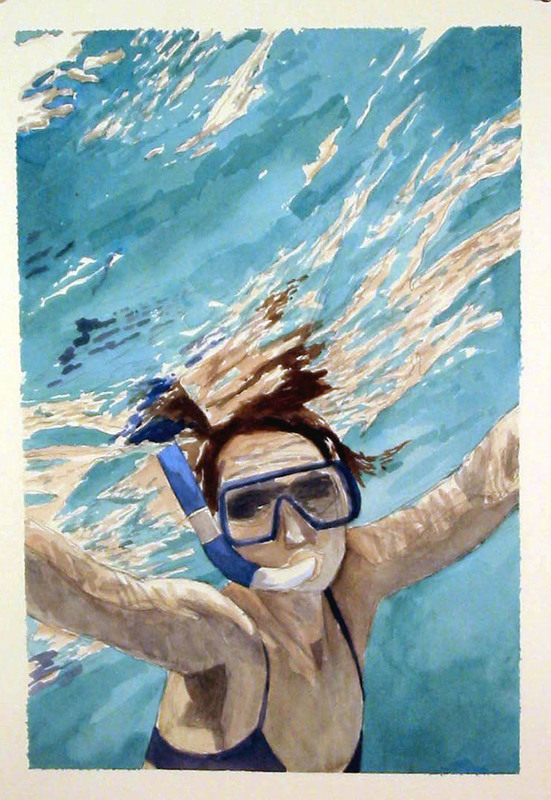 Ramona Snorkeling, 2006, watercolor, 20 x 14 in. Edge of the Meadow, 2007, watercolor and acrylic on paper, 30 x 41 in. 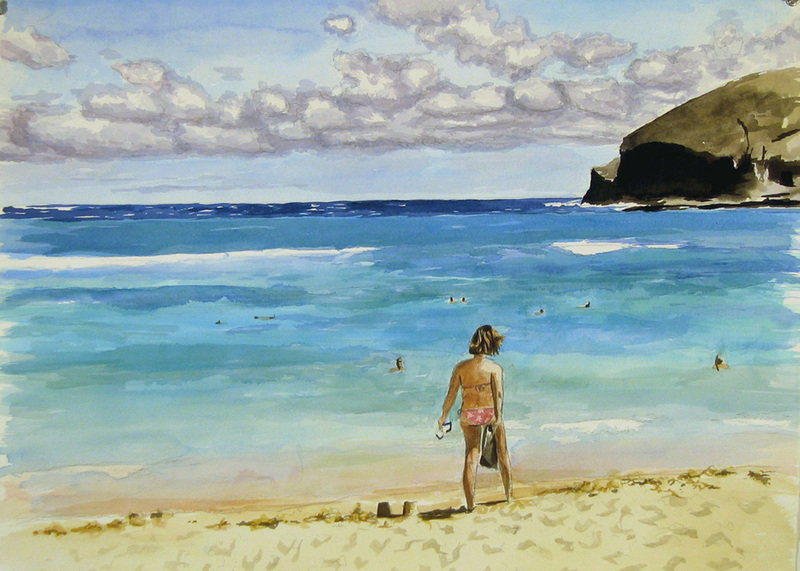 Ramona Walking on the Beach, watercolor & acrylic on paper, 2006, 22 x 30 in. Basketball Game, 2006, watercolor, 30 x 41 in. Parking Lot Flowers, 2007, watercolor, 9 x 12 in. Baker Beach, 2010, acrylic on canvas, 36 x 36 in.